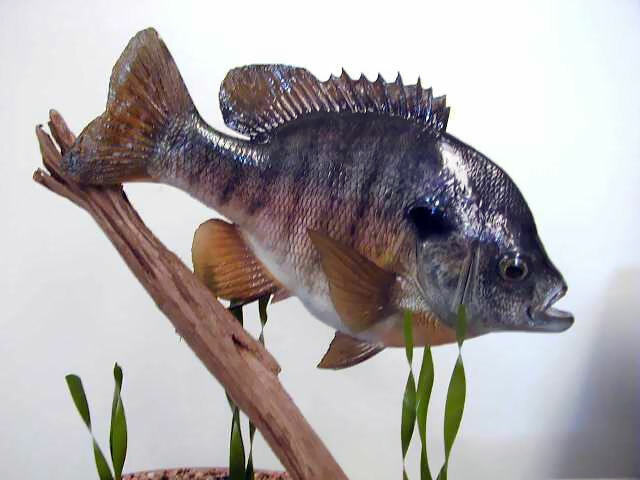 The bluegill (Lepomis macrochirus) is a species of freshwater fish sometimes referred to as bream, brim, or copper nose. It is a member of the sunfish family Centrarchidae of the order Perciformes. Lepomis, in Greek, means “scaled gill cover” and macrochirus means large hand, which may be a reference to its body shape. 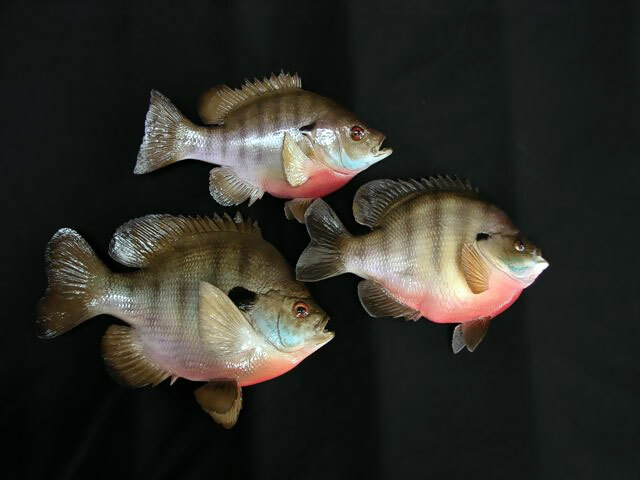 A defining characteristic of the bluegill is the bright blue edging visible on its gill rakers. 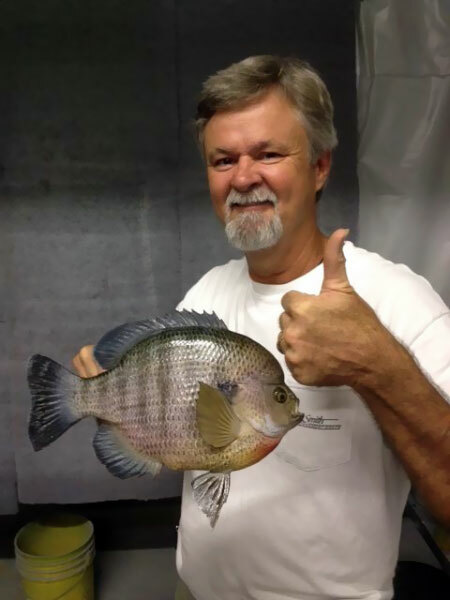 The bluegill is the state fish of Illinois. How much will my custom mount cost? How long will it take to create my custom mount? 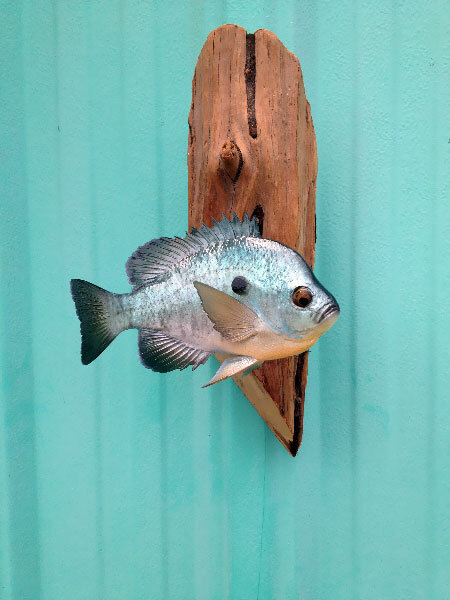 What do you need in order to produce a custom mount of an actual fish? Keep up with the latest news and promotions.